The Fourth Chakra is also called the Heart Chakra. It’s name in Sanskrit is Anahata, which means *unhurt or unstuck(. It is located right at your heart. This chakra helps you to tune into your own rhythm. It merges and balances your mind, body and spirit and helps to open your consciousness. 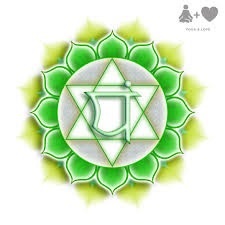 The color of this chakra is green; it’s element is Air and it is considered a “feminine” chakra. The Fourth Chakra aids in your ability to act with compassion, devotion and love. The love you give and receive will be unconditional. You will act with acceptance and understanding. You will find a balance within yourself. When this chakra is balanced and functioning properly, you will feel a sense of compassion for others. You will be caring, accepting and calm. Your inner balance and serenity will be obvious to those around you. You will adopt an “attitude of gratitude” and be able to move in harmony and unity with those around you, who may comment that you have a glow about you. Conversely, if this chakra is unbalanced, you will be unable to form attachments and will have difficulty in all relationships. You may feel sad, lonely and resentful; you may feel alienated from those around you. You will have no belief in love and will find it hard to receive love, as you are unable to give it freely. One of the first and easiest things you can do to open the Heart chakra, is to straighten your posture and get those shoulders back. We spend so much time hunched over our screens with our heads forward, shoulders slumped and our chest collapsed. Bring that head up, straighten your spine and gently move your chest forward and open that heart center – take several deep breaths. Try to do this a few times a day and notice the change! 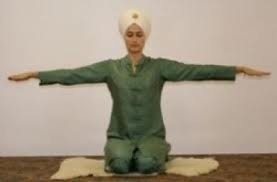 A wonderful exercise to open the heart chakra is to sit comfortably, cross-legged on the floor or in a straight chair, with a straight spine. Stretch your arms out in front of you with your palms together. 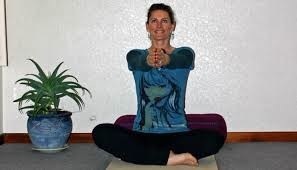 As you inhale, stretch those arms open to your sides, parallel to the floor. Feel the stretch, expanding your lungs with the breath, opening up the heart center. As you exhale, bring your arms back to the front, bringing the palms back together. Do this for at least three minutes. Exhale completely through the nose. Until next month, when we continue with the Fifth Chakra, I wish you peace, joy and happiness.